Research shows that cross-channel buyers are more loyal and more profitable than single-channel buyers. Price also is becoming less of a critical factor in the decision-making process of these customers, who are more likely to differentiate based on service convenience and ease of experience. 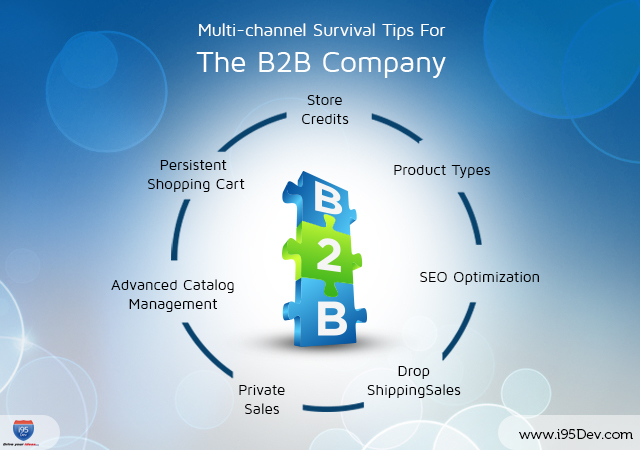 Therefore it is imperative for the B2B seller to seamlessly integrate the merchandise, inventory and customer data across stores and online channels to prevent service failures and enable consistent customer interaction. Cross channel integration also connects sellers with their suppliers, logistic partners and others. Crucial to a business’ multi-channel success is robust, scalable technology which meets the demands of a multi-channel environment. Solutions should be able to leverage current capabilities by integrating with existing legacy systems. Such a solution must not only integrate two disparate database systems but also build a centralized repository of master data. This master database allows businesses to analyze customer behavior & develop marketing campaigns that are targeted toward specific markets and customers, which, in turn, will lead to incremental sales growth. Customers are increasingly expecting personalized services across all sales channels. To provide personalized services, B2B sellers need a centralized repository of customer data as well as other customer applications. This helps businesses measure customer lifetime value – based on past transactions – as well as provide personalized services and an overall experience to create customer loyalty. Personalization can be provided at multiple customer touch points as well as through self-serve point of sale, screens where the customer can get personalized greetings and promotions. Product Types – Configurable Products, Bundled Products, etc. To find out more about our multi-channel e-commerce solution, please send us an e-mail at info@i95dev.com or call us at 301.760.7499. We look forward to learning about your business’ specific needs and how we can help you succeed.